I think I finally reached a realization that I don’t need a membership to a gym and I don’t need to be in a gym for that matter to get a great workout. After some discussions with my wife, quite a bit of research on the net and some very inexpensive purchases from Craigslist I have a solid start. I will use sand to build weights in five-to-ten pound increments, nylon duffel bags to use as dumbbells and as Bulgarian bags. I’ll piece together a pull-up bar made from galvanized steel and attach it to the beams of our attic. 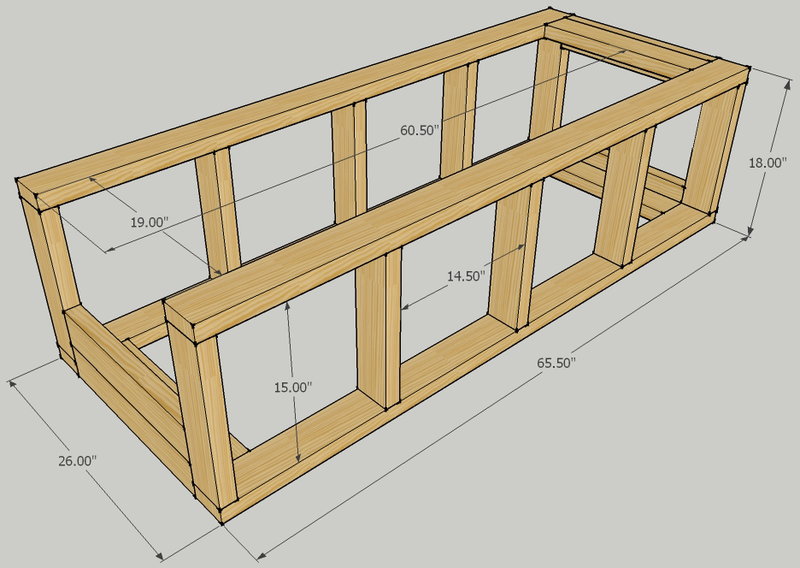 That’s just a few things I have lined up, but for the sake of this post I will construct a horizontal push-up and sip station out of six 2x4x96 pine. Below is the cut list and following that is the actual plans. I’ll follow-up later once I have it assembled and post pics of the finished product. Just keep in mind I am 5’8″ so I am not tall. This is sized for someone under 6′.